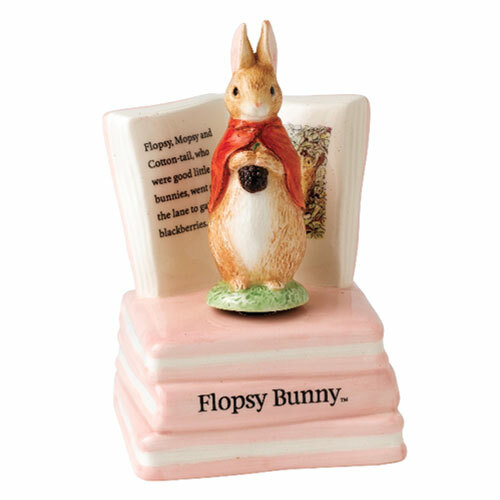 This Flopsy Bunny Musical from the Beatrix Potter collection is made from ceramic. This bunny musical figurine has a lovely shape and the artwork is taken from the original illustrations from the Beatrix Potter stories. This figurine plays the tune "Mozart' Lullaby".